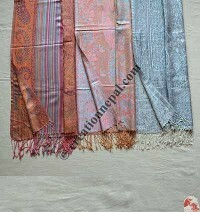 A fine, strong, soft lustrous fiber, silk is produced by silkworms in making cocoons and later collected to make thread and fabric. 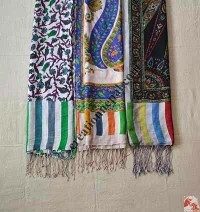 Several different insects can produce silk, but only the silk of moth caterpillars have been used for textile manufacturing. 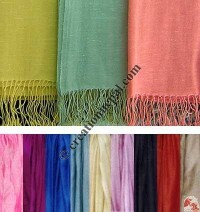 Because of its origin, silk is a natural protein fiber; it can absorb moisture up to one third of its weight. 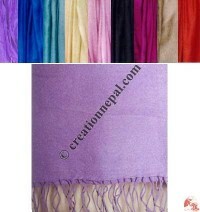 Silk carry the characteristics of its own: fit for all climate, softness and shiny, comfort and elegance. 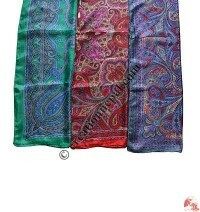 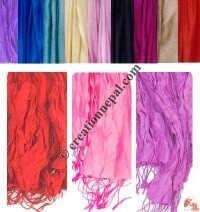 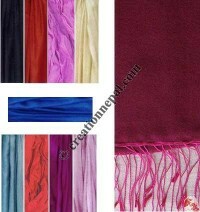 Creation Nepal offers varieties of 100% silk stoles and other accessories in various colors.